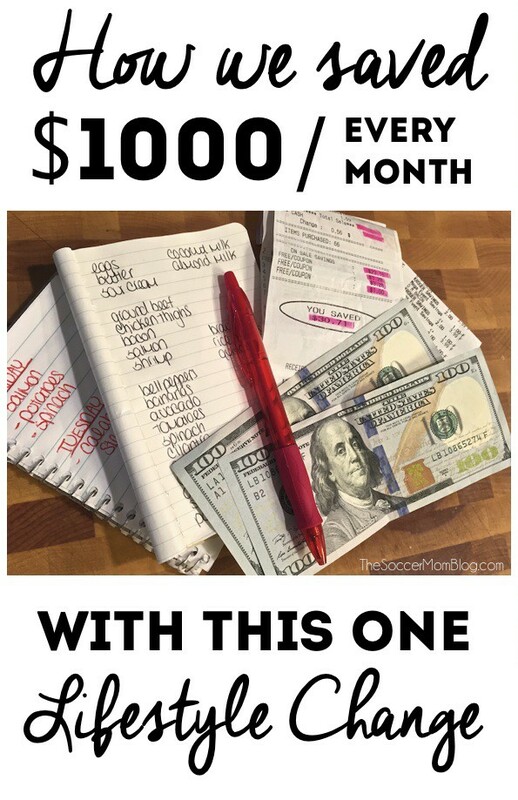 However, you can still provide an awesome soccer-themed celebration without breaking the bank, so you can save that extra cash for soccer cleats! First up, soccer-inspired decor! 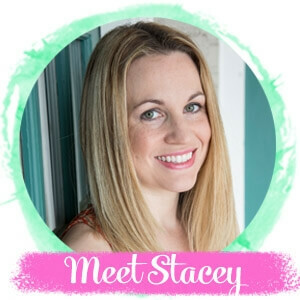 We kept things fun yet easy with soccer paper lanterns, a simple green tablecloth, and strategically placed mini-soccer balls that the kids got to decorate and take home with them after the party. Related: Click here to learn how we made our “floating” soccer paper lanterns! Chocolate Covered Soccer Oreos — These are easy to make and can be prepped a couple days in advance. They hold well and look super cute on your party table! 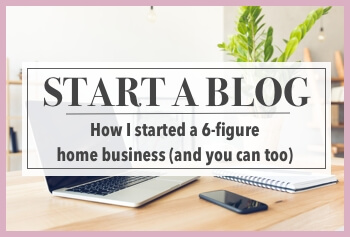 (You could also use these as a take-home treat for your guests). 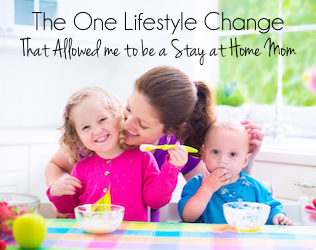 CLICK HERE for the full recipe! 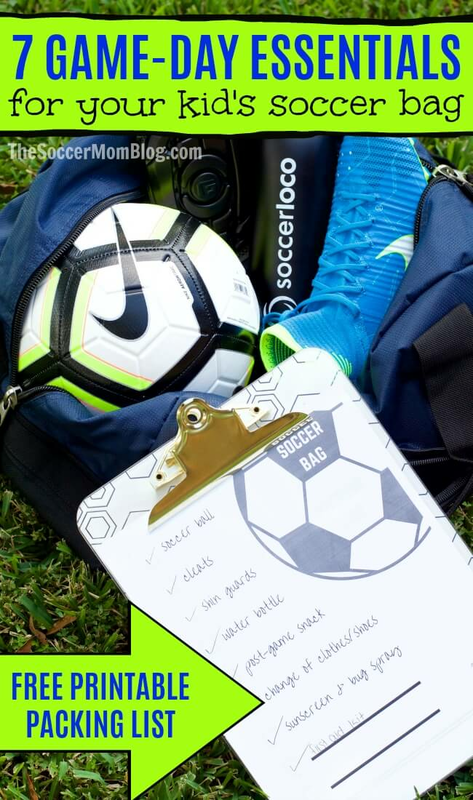 Note: I’ve provided affiliate links for your convenience in re-creating this soccer birthday party; read our disclosure policy here. 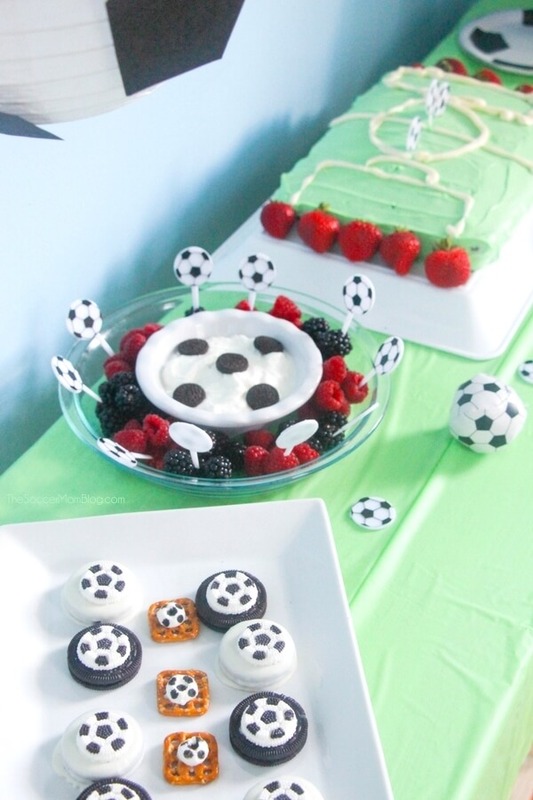 Soccer Field Cake — Cover a sheet cake with green frosting and paint on the lines with white decorating icing. It will look just like a soccer field! 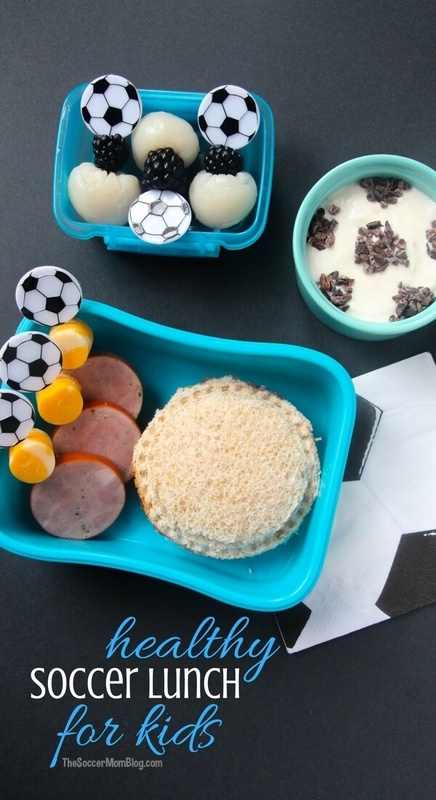 Click here for our easy soccer birthday cake recipe and decorating tips! Pro Tip: A frosting decorating bag makes drawing the field lines a breeze! 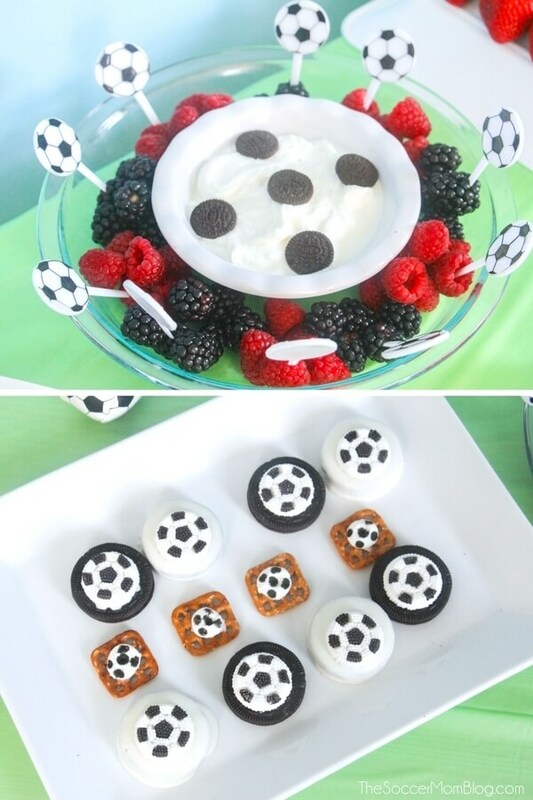 Soccer Pretzels — Squish mini marshmallows using the back of a spoon and use an edible food marker to add black dots to look like a soccer ball. Attach your soccer marshmallows to a waffle pretzel “net” with a dab of melted white chocolate. 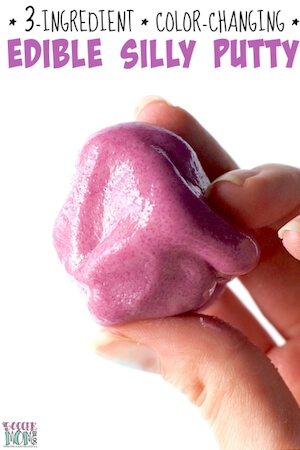 Soccer Ball Fruit Dip — Mix vanilla flavored Greek yogurt with a tablespoon of honey for a protein-rich snack. 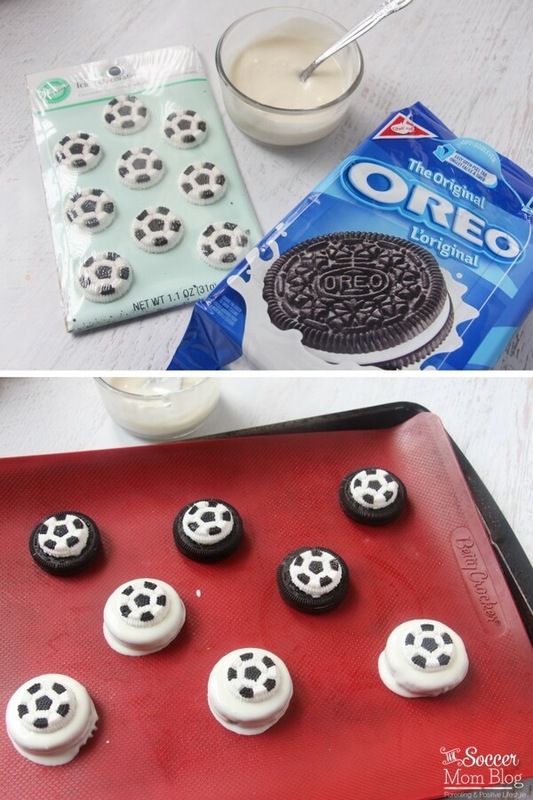 Top with mini Oreos to achieve a soccer ball look. Add soccer picks to cut fruit for easy dipping. 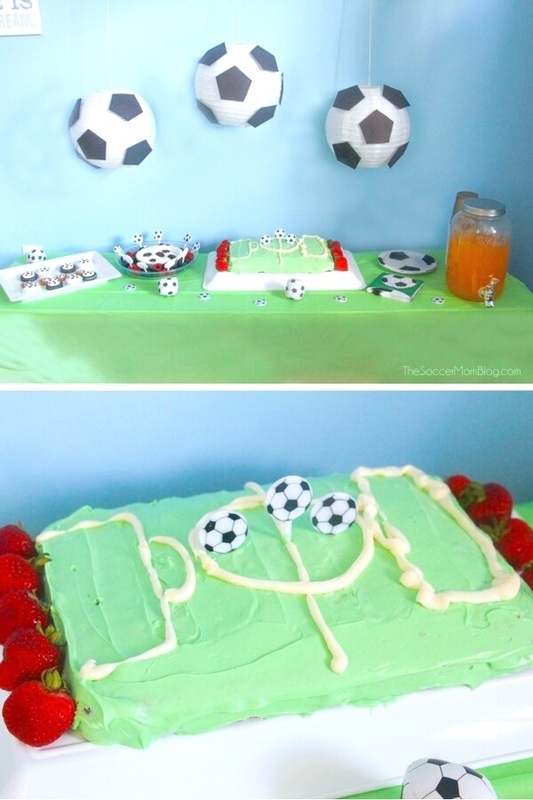 Our entire soccer birthday party cost less than $50 for decor, gifts, and food — a definitely win in my book!